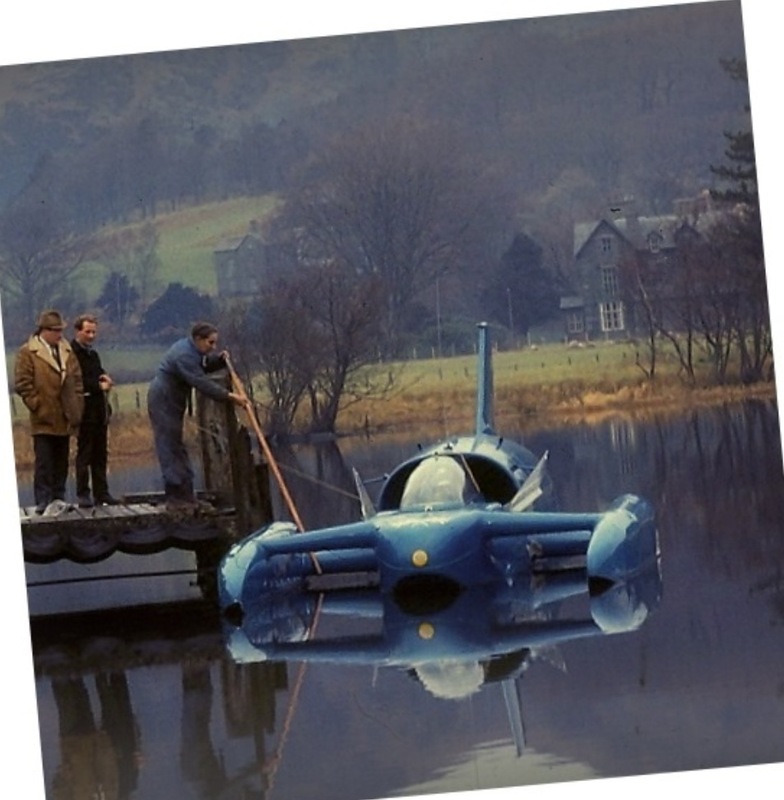 Donald Campbell was to achieve a unique double, the only man to ever break Land and Water Speed Records in the same year, when at Lake Dumbleyung outside Perth he set a record of 276.33 MPH in Bluebird K7 on December 31 1964. 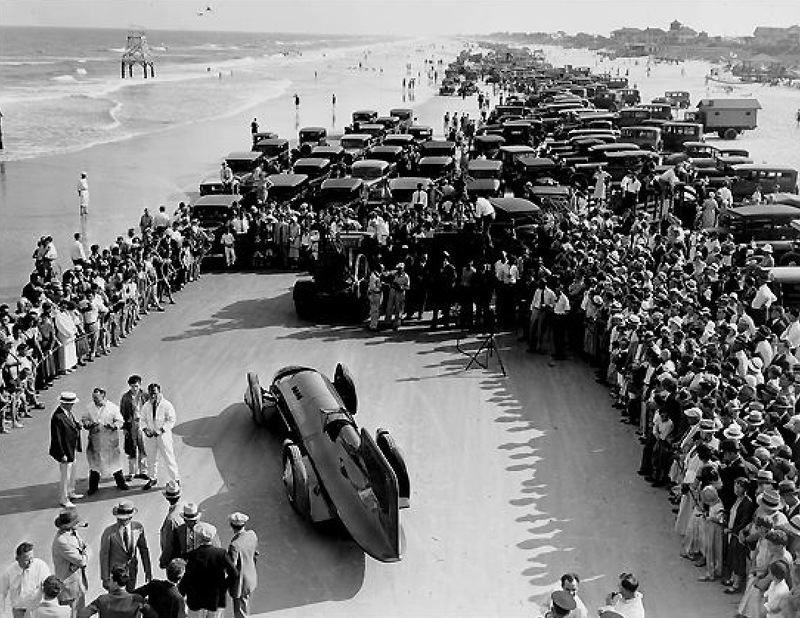 Donald was the son of Sir Malcolm Campbell, a Grand Prix winner and Brooklands racer who turned his hand to record breaking achieving 146.16 mph at Pendine Sands , Wales , 1924 in a Sunbeam V12 .He broke 9 LSR records in all, his final at Bonneville, Utah, on 3 Sept 1935 at an average of 301.337 mph, the first person to exceed 300mph. 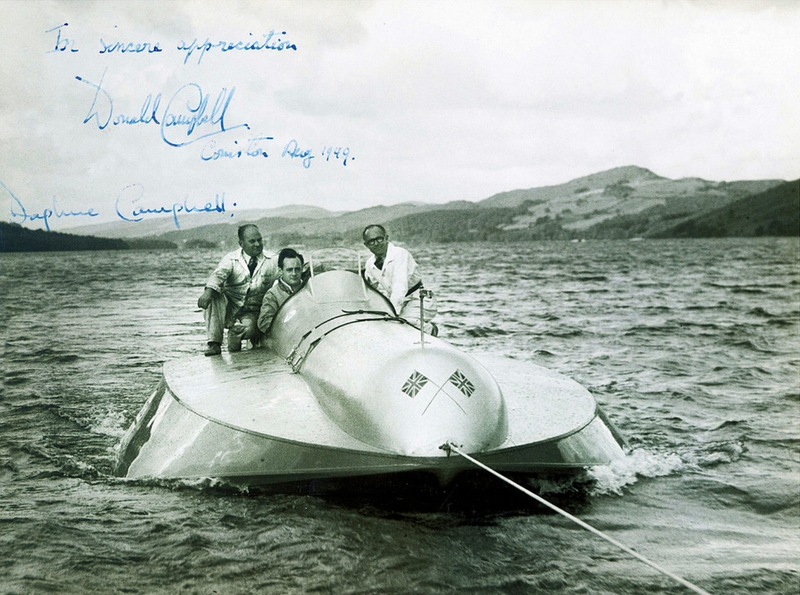 He set 4 Water Speed Records , the final in 1939 on Coniston Water in Bluebird K4 . He was Knighted in 1931 and died after a series of strokes in 1948 aged 63. Like many sons of famous fathers Donald set out to both emulate and surpass the achievements of his father. At the outbreak of World War 2 he volunteered for the RAF but was unable to serve as a result of childhood rheumatic fever. He became a maintenance engineer and subsequently a Shareholder/Director of a small engineering company named Kine Engineering, the business producing machine tools..
His record breaking efforts commenced after his father died, having purchased the boat ‘Bluebird K4’ from Sir Malcolms Estate. It was gradually coaxed to 170MPH and had circuit racing success.Lew Norris was a mechanical engineer and the workshop manager at Kine Engineering who provided advice on the development of K4. 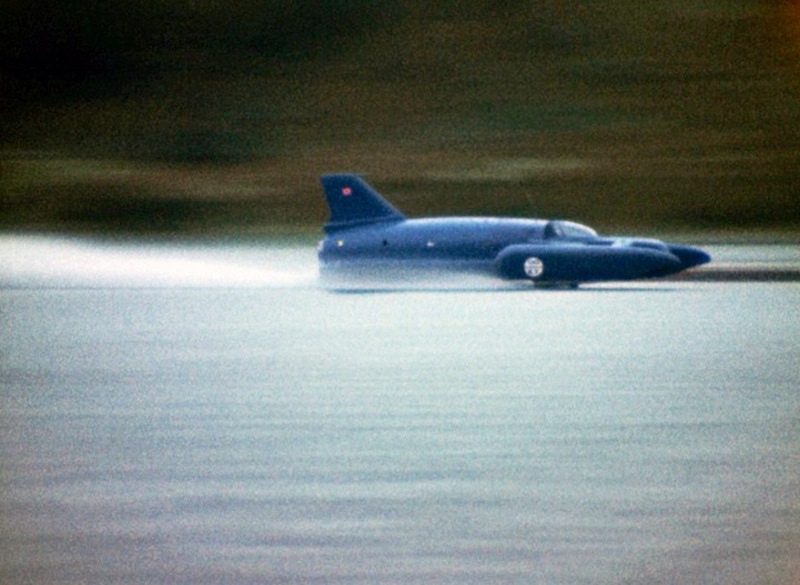 In early 1953 Campbell began developing his own advanced all metal jet powered Bluebird K7 hydroplane. He approached Ken & Lew Norris to design and build the boat , the brothers collaborating with Australian aerodynamicist Tom Fink. Norris Bros Ltd became a very successful design consultancy working and manufacturing in diverse fields, amongst their designs was the automatic tensioning device for seatbelts. 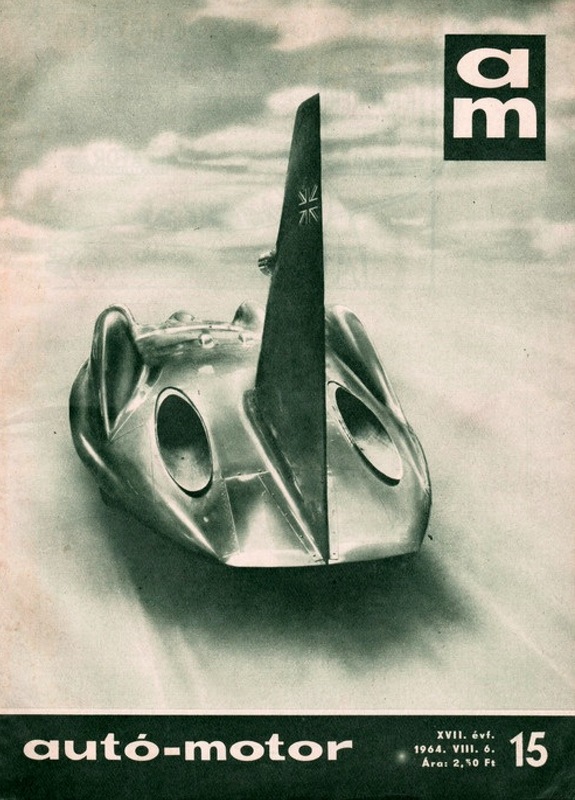 Campbell set 7 WSR’s in K7 between July 1955 and December 1964, the first at 202.33MPH, the last at 276.33 He was awarded a CBE for his water speed record breaking in January 1957. 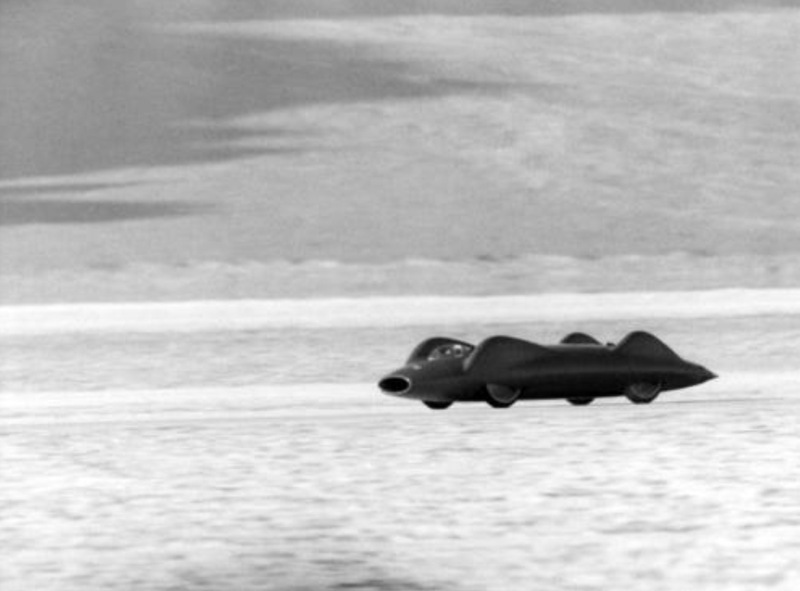 After Campbells record attempt at Lake Mead in Nevada in 1955 it was put to him that he should ‘go for the double’, to achieve a Land & Water Speed record in the same year . 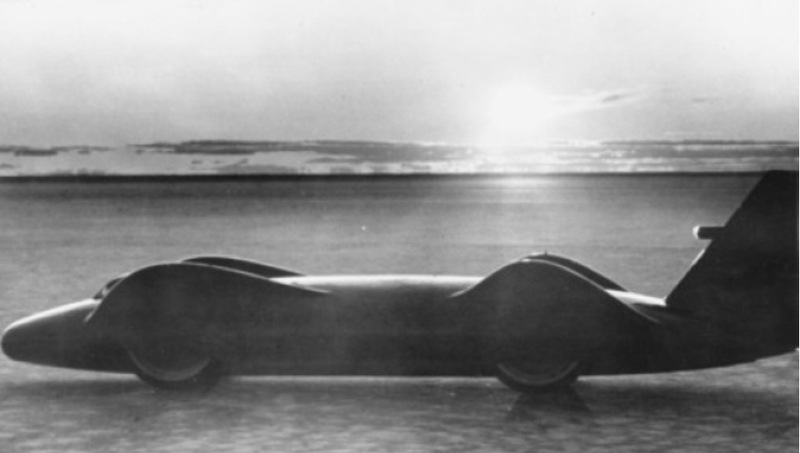 Campbell had no credentials on land, but undeterred approached the Norris Brothers to build a car capable of 500 mph. The task was enormous with Campbell then in his late ’30’s being described as a ‘financier , impresario, sportsman, adventurer, as well as courageous enough to take on the elements’. 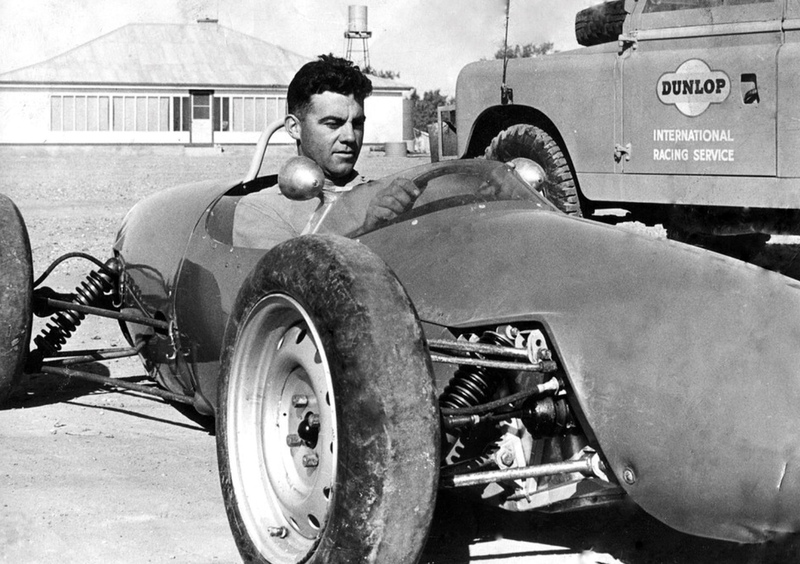 Campbell was a patriot and wanted the car to be the best of British ,it took over 80 companies, in excess of one million pounds to build the car and an equivalent amount to run the operation…enormous sums by the standard of the day. Having put in place the funding and corporate support to deliver the project technically Norris Brothers designed a car capable of 500mph. 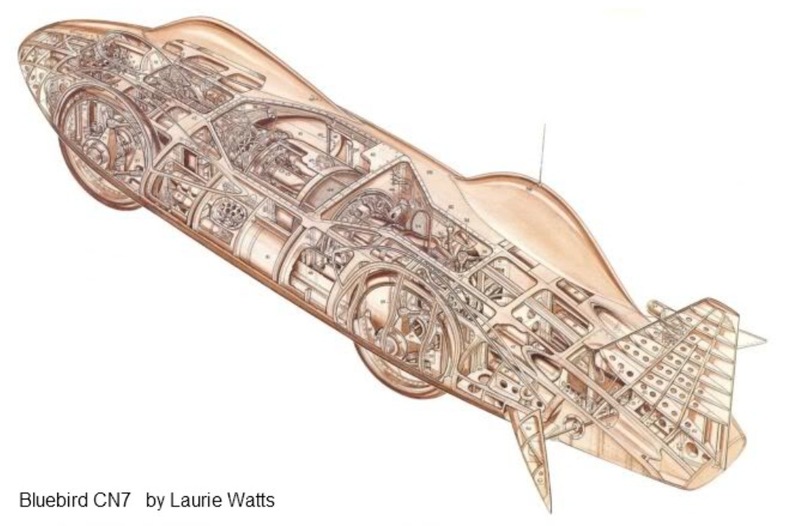 the design concept was simple ; a jet engine, run drive shafts out of each end to the front and rear axles, and build a steel frame to house the engine, driver, and wheels. The driver sat forward of the front wheels, air was ingested through a front intake and ducted around the driver into the turbines and then the engine. The technical specifications of the CN7 are outlined below, but in essence the car was of advanced aluminium monocoque construction ,had 4 driven wheels, was 30 feet long, weighed 9600 pounds and was powered by a Bristol Siddeley free turbine , or what would be described today as a ‘turbo prop’ engine, developing 4450 shaft horse power or 4000 BHP at 11-11800RPM. 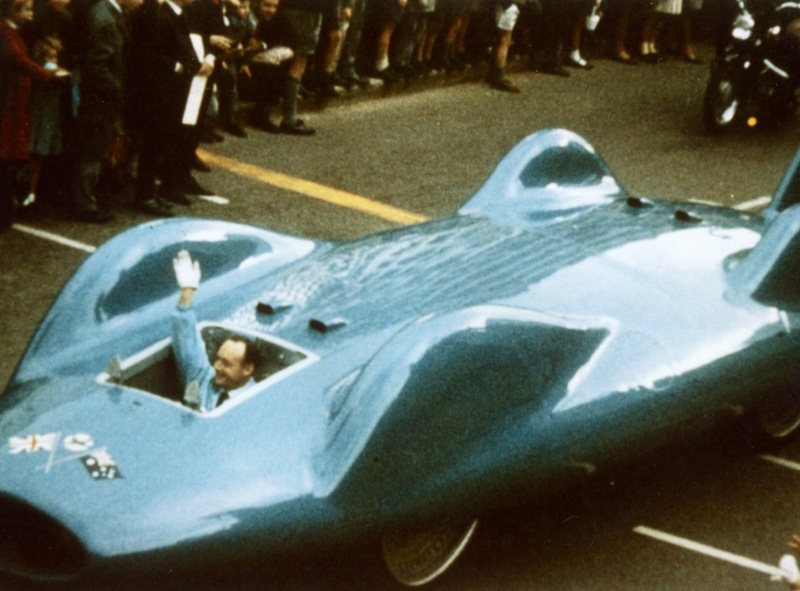 The aerodynamics were similar to John Cobbs Mobil Railton Special which almost achieved 400MPH using petrol engines. 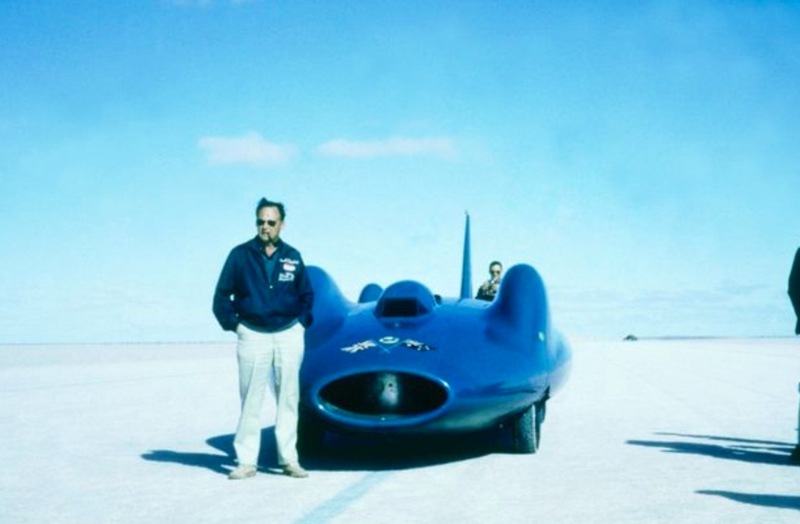 Bluebird was completed in Spring 1960 and after testing at Goodwood circuit was shipped to Bonneville , Utah, the scene of Malcolms last LSR triumph in September 1935. Initial testing went well but on his sixth run Campbell crashed at 360 mph , writing off the car and hospitalising himself with a fractured skull, burst eardrum and extensive cuts and abrasions. Campbells confidence was badly shaken, he suffered mild panic attacks and for some time doubted he could go back to record breaking. 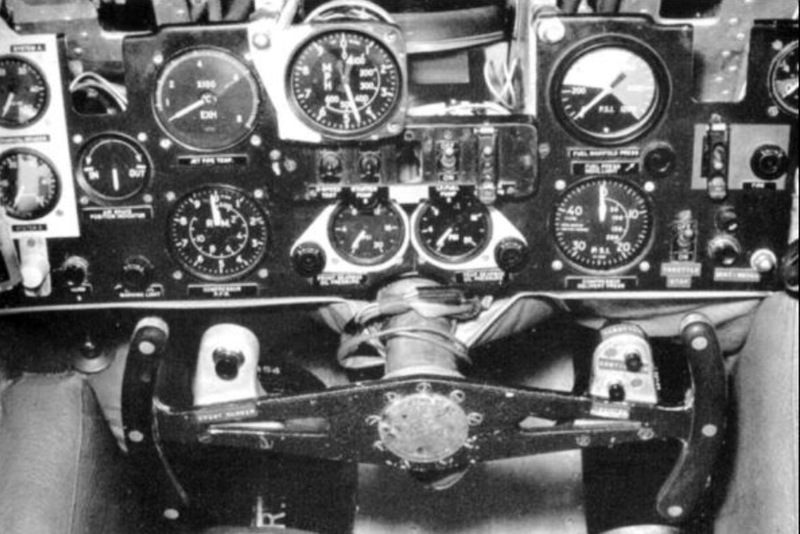 He learnt to fly light aircraft as part of his convalescence but by 1961 he was feeling better and planning the rebuild of CN7. 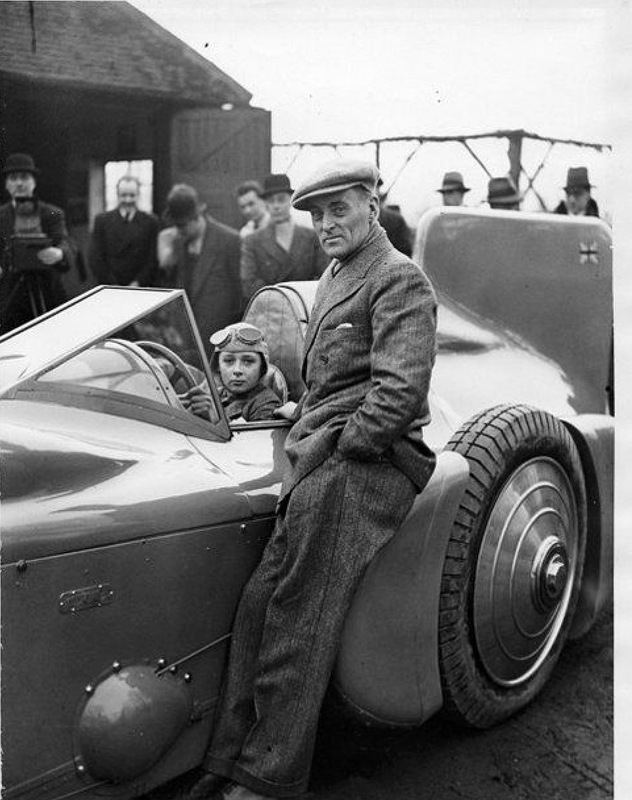 Sir Alfred Owen of BRM Trust, and later the owner of BRM outright, fame stepped forward and offered to rebuild the car, various of his Rubery Holdings Group companies having constructed the car initially. 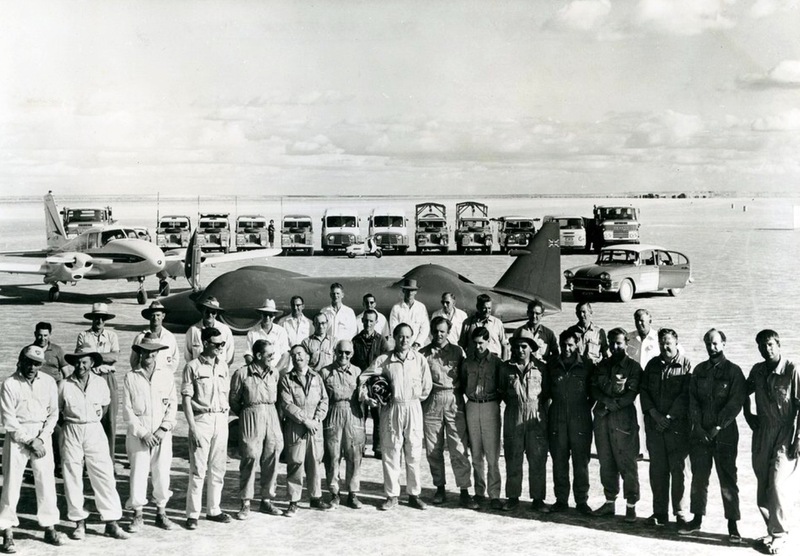 Campbell thought that Bonneville was too short, the salt having a total length of 11 miles and after researching various alternatives identified Lake Eyre, 700 Km north of Adelaide as a more appropriate location.It had 450 square miles of dried salt lake and rain had not fallen for over 20 years.The surface of the 20 mile long ‘track’ was rock hard, which allowed a very long ‘run in’ to the measured mile and importantly plenty of space to stop the massive car, not easy despite the sophisticted braking system, their being little or no ‘engine braking’ from such engines. 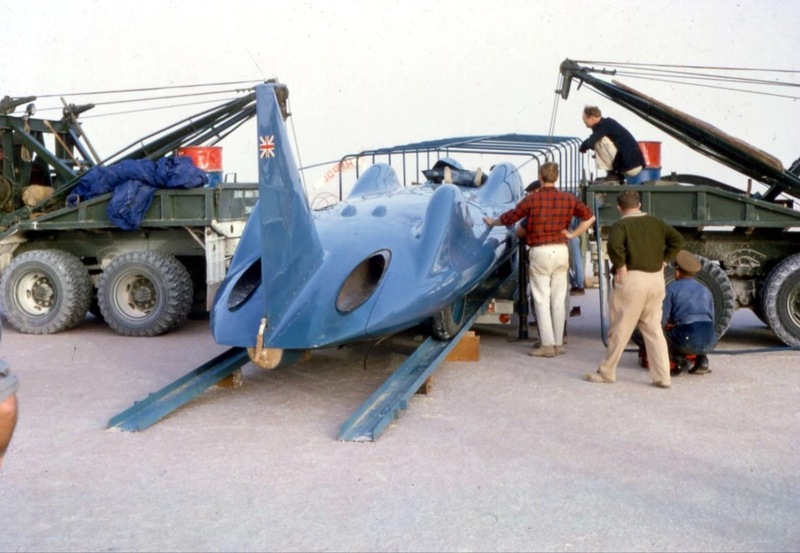 By Summer 1962 CN7 was rebuilt , 9 months later than planned , it was the same car albeit with the important addition of a stabilising fin and reinforced fibreglass cockpit cover , it was shipped to Australia in late 1962. The Australian and South Australian Governments saw the attempt as a means by which to promote both the country and the state. 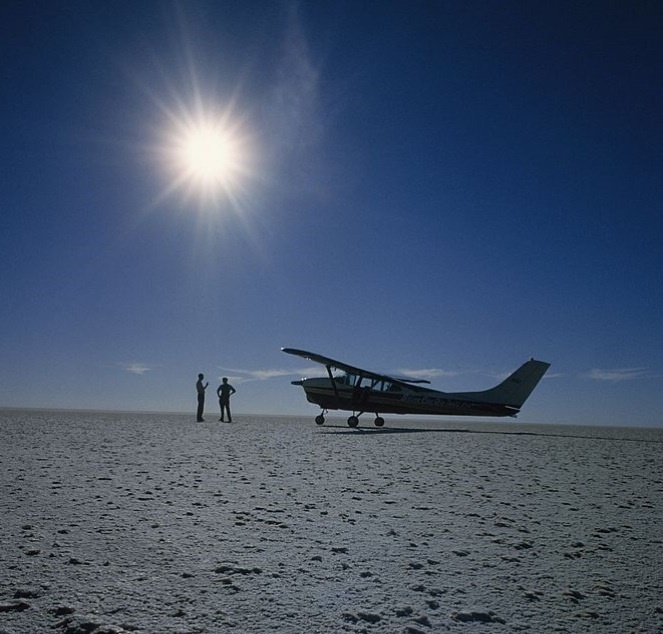 Lake Eyre is remote, to say the least, the South Australian Government creating a gravel road 100 Km long from Marree to Muloorina Station and from there to the shore of the Lake. Then the difficult bit started…the crust of salt lakes is hardest in the middle, underlying the crust is water saturated blue mud. It was necessary to build a causeway 400 metres long to allow transport vehicles to access the salt from the road itself . Shortly after Easter, in addition to Bluebird there were 5 Fordson tractors, 2 Commer 5 ton trucks, a Humber Super Snipe car an Elfin Catalina single seater for tyre adhesion tests, several Commer vans for refuelling etc, multiple Land Rovers, and other assorted cars belonging to reporters and photographers. 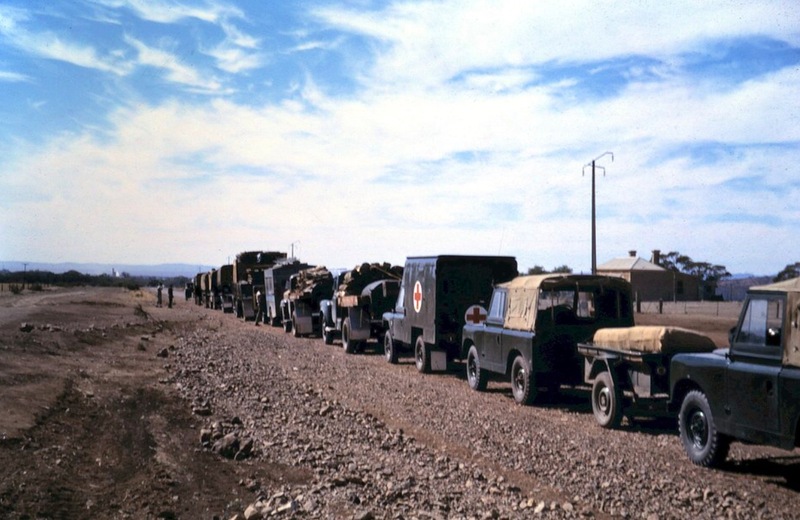 There were around 80 men at Lake Eyre either in houses or caravans, then a mechanised unit of the army and police arrived swelling numbers to 150-200 depending on the day, making food and other supplies difficult when roads were impassable. It was a military operation, supported by the Australian Army to provide the logistical support to move around 200 people into the remote location to support the record attempt. The task of making the strips was huge as Ken Norris wanted a tolerance of o.25 inches variation in height of the salt surface over 100 feet. Campbell arrived in late March, low speed attempts at around 240MPH being carried out, this also allowed the team to do their ‘turn around drill’, the return record timing run needing to be made within an hour of the first. Then the rain came…By May 1963 Lake Eyre was flooded to a depth of 3 inches, the first rain in years and the attempt was abandoned. Campbell had to move the car off the lake in the middle of the night to avoid it being submerged. He was criticised at the time for this but the good citizens of Great Britain did not understand the ‘on ground’ realities of Outback Australia howver large the entourage. 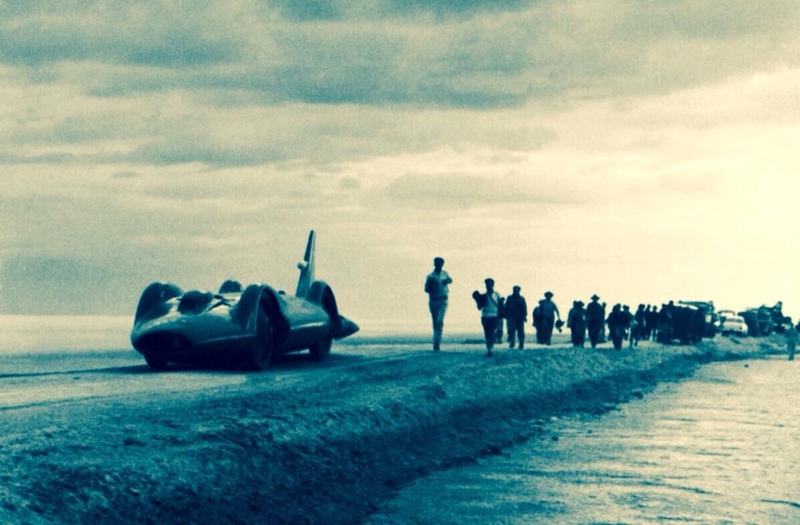 Meanwhile, at Bonneville Craig Breedlove had driven his pure thrust jet car, the ‘Spirit of America’ to 407.45 mph in July 1963 . The ‘car’ didn’t comply with FIA regulations about the ‘cars’ having a ‘minimum of 4 driven wheels’, but in the eyes of the world he was the fastest ‘man on wheels’, it was not the first time the regulators lagged behind the technology being deployed. 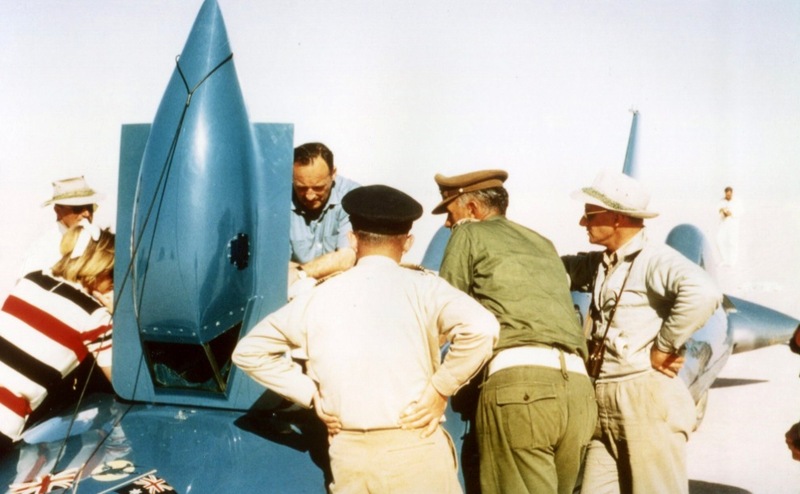 Campbell was bitterly diappointed but had to push on knowing Bluebird was capable of going much faster if circumstances smiled upon him. Campbell returned to Australia in Spring 1964 but the course could not be used after yet more rain. BP pulled out as his main sponsor, Australian Oil Company Ampol stepping in. Campbell was still being criticised heavily in the press in the UK because of his administration of the project, in many ways unfairly, he hardly had control over the weather. The course was never fully dry, but under pressure, Campbell was forced to make the best of it. In July he put in some speeds which approached the record. On 17 July, taking advantage of a break in the weather , he made 2 courageous attempts on a shortened, damp course, posting 403.10 mph. But it was the record all the same. Campbell drove CN7 through the streets of South Australia’s capital with a crowd of more than 200,000 in attendance. CN7 then toured the country and throughout the UK after its return in November 1964. 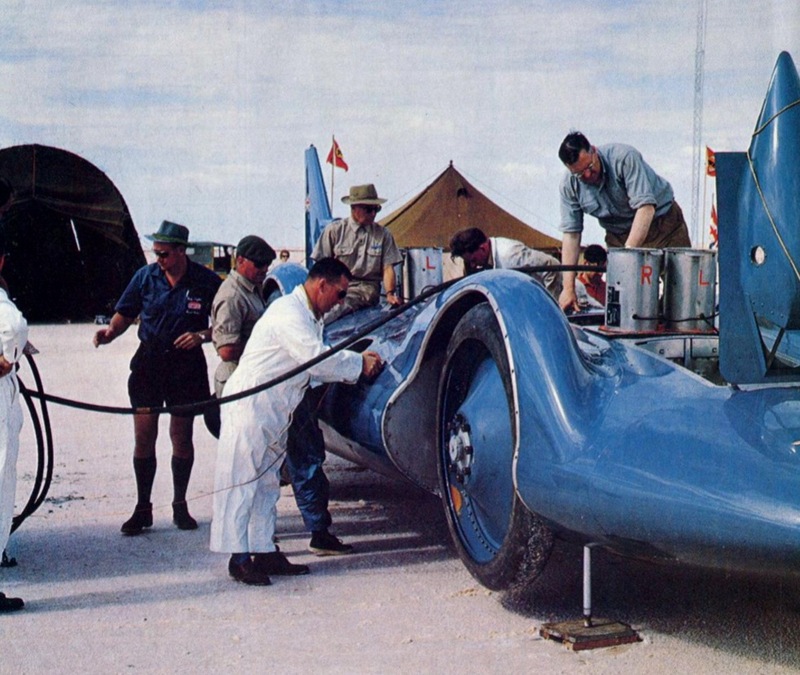 Bluebird was eventually restored in 1969, having been damaged in a demonstation run by a stand-in driver at Goodwood,but has never run again. 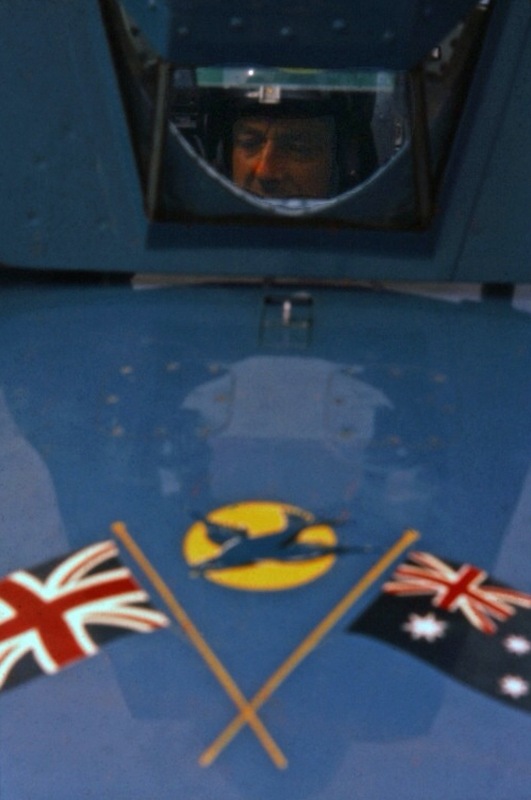 Campbell achieved his seventh WSR at Lake Dunbleyung near Perth Western Australia on 31 December 1964 at an average speed of 276.33 mph, just getting his second record within the same year as he had planned. 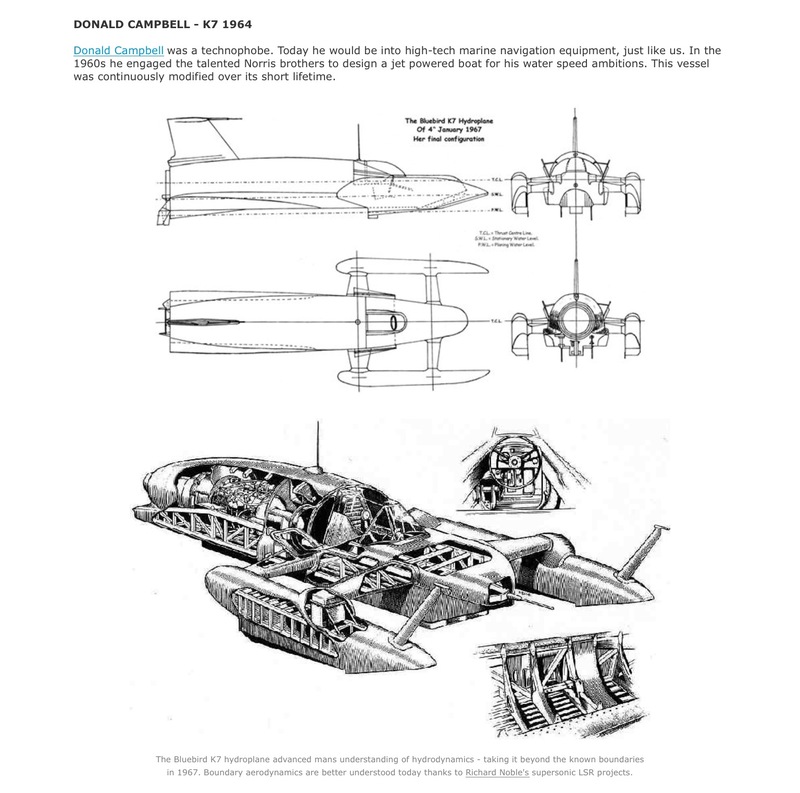 Campbell’s LSR was short as the FIA admitted jet powered cars from October 1964. 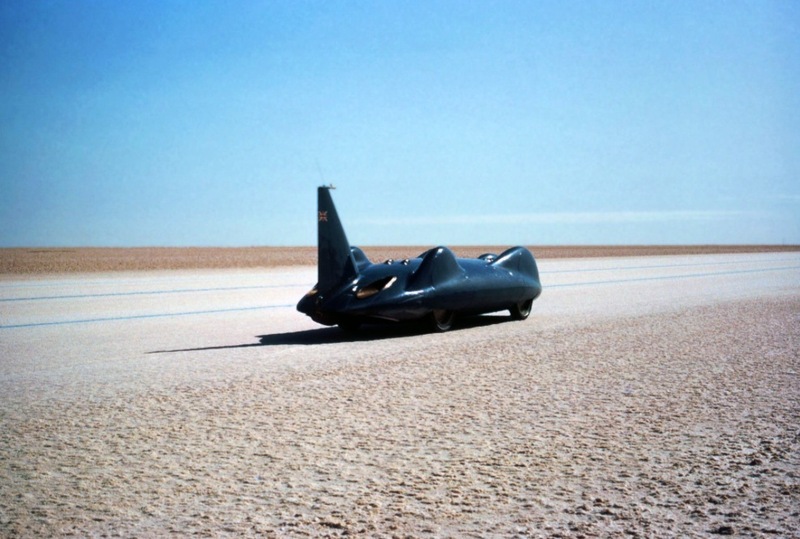 Campbell’s 429mph on Lake Eyre remained the highest speed achieved by a wheel driven car until 2001. CN7 is now on display at the National Motor Museum in Hampshire, England. 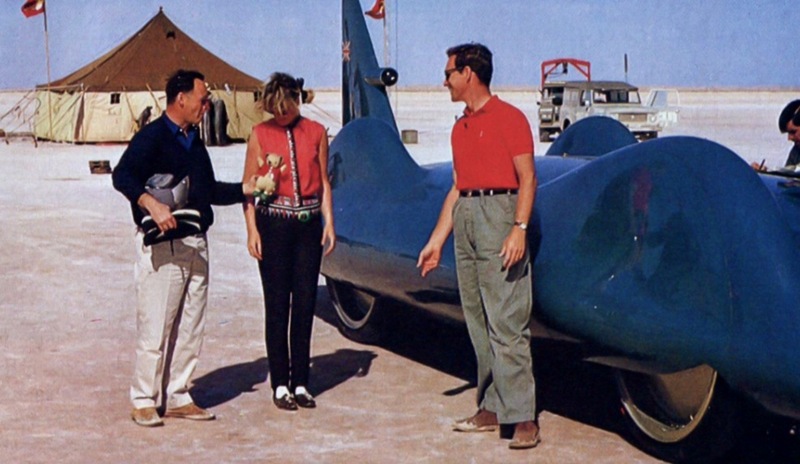 Norris Bros were requested by Campbell to undertake design studies to achieve Mach1.1 , using a rocket car to do so. To increase publicity for the program to get the necessary community and business support Campbell sought to break the WSR again, this program commenced in Spring 1964.K7 was fitted with a lighter & more powerful Bristol Orpheus engine from a Folland Gnat aircraft developing about 4500 pounds of thrust. The modified boat was taken to Coniston Water in November 1966, the boat failing when the engine ingested debris from collapsed air intakes. Some runs at 250 mph were made but the boat had fuel feed problems limiting maximum engine power, this problem was fixed by the engineers, better weather was then required. The weather at dawn that cold, gloomy day was was ok.
Campbell set of for his first run at 8.45 am, he went past the first marker at 285MPH, 7.525 seconds later leaving the measured mile at over 310 MPH. Instead of refuelling and waiting for the wash to subside, he made his return run, this was something he had done before. His second run was faster , at a peak speed of 328MPH the boat was bouncing its starboard sponson with increasing ferocity, the most intense bounce dropping speed from 328 to 296MPH. 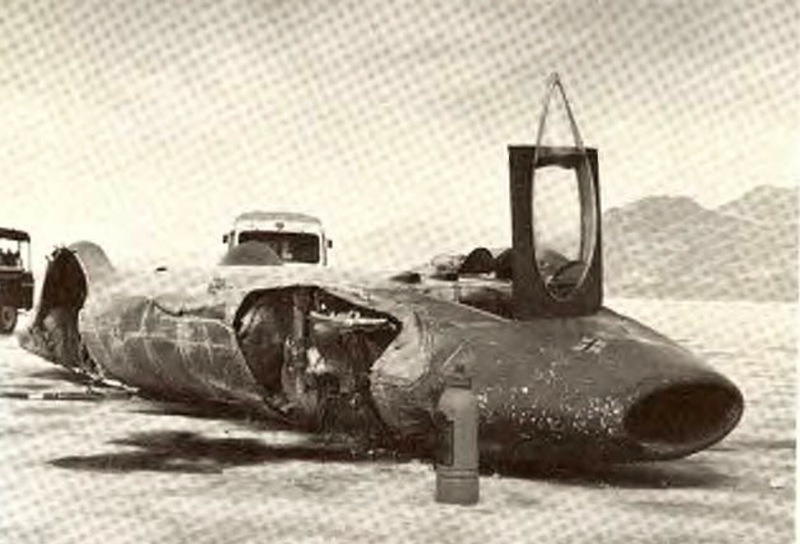 Engine ‘flame out’ (failure) occurred , perhaps caused by fuel starvation, damage to a structural element , disturbance of the airstream or all 3 factors. Shorn of nose thrust, and resultant nose down momentum K7 glided before completely leaving the water. It somersaulted before plunging back into Coniston 230 metres short of the measured mile. K7 cartwheeled across the water before coming to rest. The impact broke the craft in half, forward of the intakes where Campbell was sitting, killing him instantly. K7 then sank. The wreck of was found by Navy divers on 5 January, but Campbell’s body was not. The wreckage of K7 was recovered between October 2000 and May 2001, Campbells body was recovered on 28 May 2001, he was interred at Coniston Cemetery on 12 Sptember that year. None of this was without controversy the family split on the issue, Campbell himself having allegedly said in 1964 ‘skipper and boat stay together’. As of 2008 K7 is being restored by ‘The Bluebird Project to full aerospace standards of working condition in North Shields, Tyne & Wear using as much of the original craft as possible. Campbell was a remarkable, extraordinarily driven man. He started his World Record Breaking late, after his fathers death, Sir Malcoms Estate passed to his grandsons partially to avoid Donald pursuing the path Sir Malcolm followed , the Estate having some of the old Bluebirds. But Donald did it anyway. He sought the advice of his fathers mechanic, Leo Villa, and evolved K4, selling his share in his engineering business, and losing his second marriage in the process to fund the Norris Bros initial work on K7. Other than the family background in record breaking he had no expereince of his own until his fathers death of controlling and racing boats or cars. His family name was a huge start but the ability to create a team to fund, design, build, develop, and then compete is extraordinary. He was a ‘Racer’ to his core. He was a deeply passionate, patriotic Brit with all of the best ‘derring do’ associated with adventurers of a past age, an inspiration to all around him and an iconic figure to a generation. 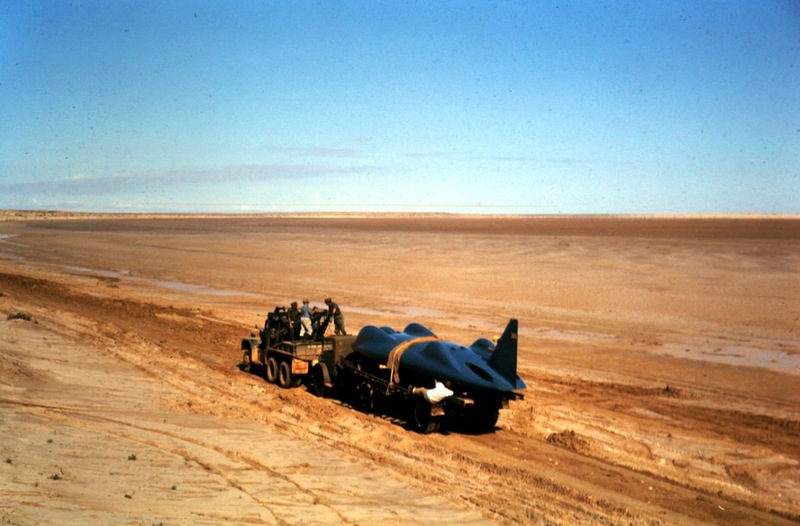 Donald Campbell CBE, with Bluebird CN7, Lake Eyre 1964. an amazingly brave adventurer from a bygone age. Cheers Tony, amazing family, but a very sad end! 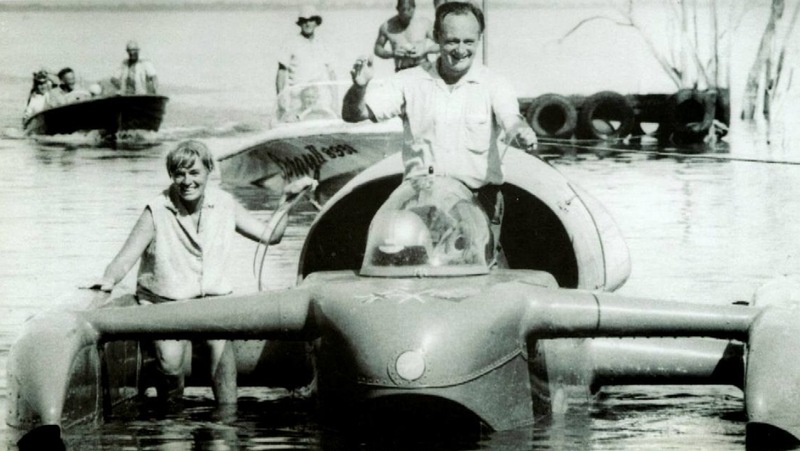 I knew about the Lake Eyre bit, but not the fact he set a Water Speed Record outside Perth. Keeping Ampol happy no doubt, happy to take , or write a Ducati article! A friend , Hayden Burford had a band the Beaumen [ Adelaide ] who did a instrumental titled 403.1 to celebrate the record. He was quite humbled by the effort of a few local muso’s. There was quite a buzz about Adelaide for the 50 year anniversary, I was there at the time in 2014. Plenty of good material around to write quite a nice article- and some super photos too. There are a few references above to the use of an “Elfin Mallala” single-seater at the Lake Eyre site, but this cannot be correct as the Mallala was a two-seater sports car. Going by the photo and the reference to the 1.5 litre engine, I would suggest that it was actually an Elfin Catalina. My Elfin history is strong too- mental dyslexia on my part confusing Garrie’s first mid-engined single-seater and sportsracer! Captions fixed. Many thanks. The Elfin Catalina AND the original wheels and tyres still exist in private hands in Adelaide. Don’t think the driver was Ted Townsend. It was Andrew Mustard working in train with Dunlop to check the tyre compounds on the salt. Nice to know the car is still safe and sound- significant as it is.